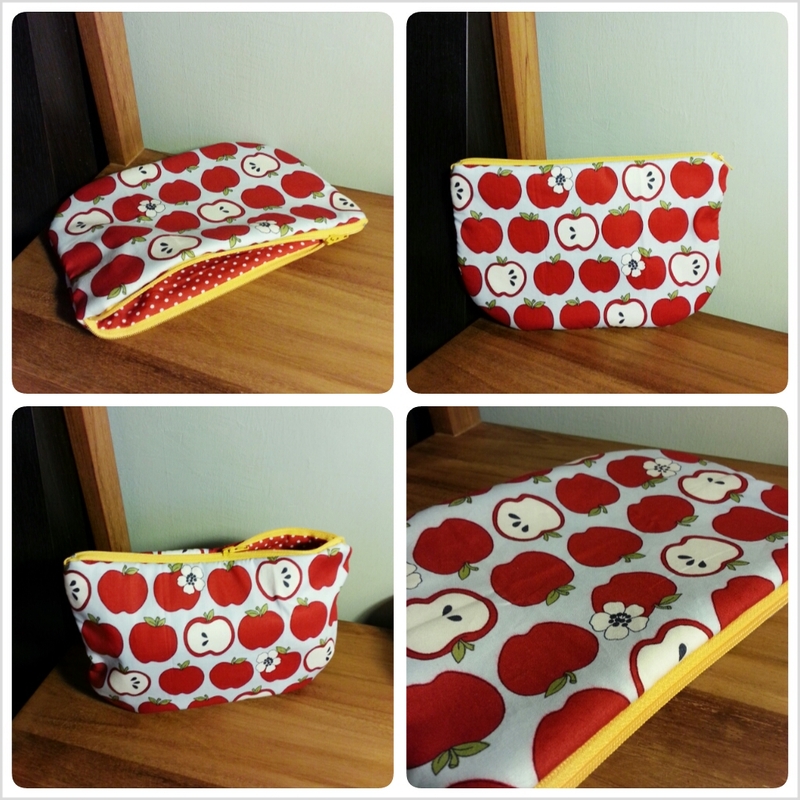 I bought this apple-printed hankerchief when was in Guangzhou last year. Well, I don't use hankies, but the fabric was too pretty to resist. I finally took it out today and decided to make a different style of pouch. I wanted to try pleated at the front, but it didn't quite work out. So I tried this way instead. I'm gonna give the pleated one another try next day.